Educating and inspiring future healthcare providers. Promoting the courage, confidence and emotional well-being of cancer patients and their families. We provide free screenings for diabetes, asthma, hypertension and more in local underserved communities. of individuals and their families facing cancer. A Healthy Tomorrow Starts Here. You can help us provide screenings to help detect diabetes. 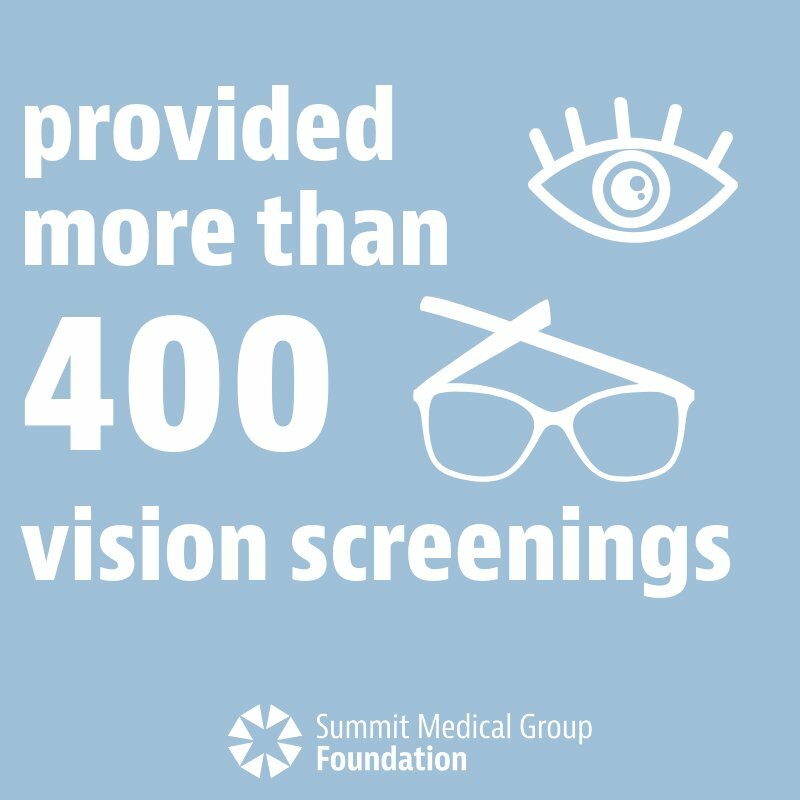 At Summit Medical Group Foundation (SMGF), we know that healthcare is at the heart of a thriving community. We operate under the philosophy that equal opportunities to access both personal healthcare and education in the healthcare field are imperative to move a community forward. Please join us by supporting SMGF. It's low vision awareness month - make sure to get your eye exams done!